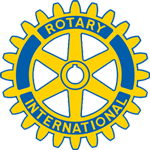 The Rotary motto "Service Above Self" conveys the humanitarian spirit of the organization's more than 1,200,000 members worldwide. We are friends, leaders, and problem solvers who see a world where people unite and take action to create lasting change - across the globe, in our communities, and in ourselves. Our club was founded in 1965 and below are just a few examples of how our club gives back. Please click on the logos to learn more about the organizations and projects we support.